There is no better way to learn teamwork than through a strong scented example! Are you looking for a unique and creative way to build your team, where staff misunderstandings and the associated emotional stressors are not the order of your day? This one-day teambuilding workshop takes the more strategic aspects of understanding behavioural styles into an exercise where men and women alike are assigned a task to create a unique scent, something that represents the personality of the team as a whole. 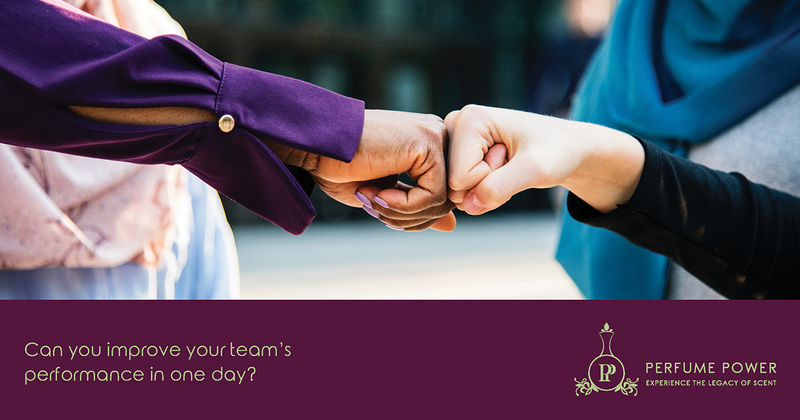 Team members are tasked with perfume product creation, design, marketing, sales and presentation, and examines amongst others team cohesion, delegation and conflict handling. This novel approach of scent creation in a workshop environment takes attendees out of their comfort zones, parading away from traditional team working exercises where the most powerful sense which is that of olfaction is harnessed. Diana Rankin, has 15 years’ experience as an HR practitioner, advising specifically on behavioural styles using the DISC methodology. Diana consulted in a variety of industries, departments and management levels. Furthermore, she is a fragrance specialist and owner of Perfume Power since 2011 with a wealth of knowledge on all aspects of scent.